We believe the Scriptures to be the 66 books of the Old and New Testaments. They are the plenary and verbally inspired Word of God, the final authority for faith, life, and church establishment, inerrant in the original writings, and preserved inerrant to this day (2 Timothy 3:16; 2 Peter 1:20-21; Psalm 12:6-7). We believe in one Godhead eternally existing in three persons: Father, Son, and Holy Spirit. They are co-eternal in being, co-identical in nature, co-equal in power and glory, having the same attributes and perfections (Deuteronomy 6:4; 2 Corinthians 13:14). We believe the Father is the one and living God — an infinite and intelligent Spirit (Exodus 20:2-3; John 4:24). 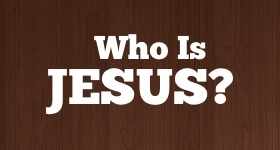 We believe that the Lord Jesus Christ is the Son of God and God the Son. We believe in His pre-incarnate deity (John 1:1); virgin birth (Luke 1:35); sinless life (Hebrews 4:15); substitutionary death (2 Corinthians 5:21); bodily resurrection (Acts 1:3); ascension (Acts 1:9-11); priesthood (Hebrews 2:17); imminent pre-tribulational, premillennial coming for His saints (1 Thessalonians 1:10; 4:13-18); and His coming again with His saints to set up His kingdom on the earth (Revelation 19). We believe that God the Spirit is a Divine Person equal with the Father and the Son (Matthew 28:19). He is restraining the evil one in this world (2 Thessalonians 2:9). He convicts of sin, righteousness, and judgment (John 16:8-11). He comforts (John 14:16- 17), witnesses (Romans 8:16) and sanctifies (1 Peter 1:2). We believe in the blood atonement of Jesus Christ for sin (1 John 1:7; Hebrews 10:12). We believe in the existence of Satan who was once a sinless being but who later fell through pride (Isaiah 14:12-14). We believe in the Genesis account of the direct creation of the universe and man by God in seven literal days. We do not believe in the process of evolution (Genesis 1:1; Exodus 20:11, John 1:1-3; Hebrews 11:3). We believe in the voluntary fall of man resulting in total depravity and guilt of the race of Adam (Genesis 3). We believe that salvation is by grace through faith in the person of Jesus Christ and His finished work (Ephesians 2:8-9; John 3:16). We believe in the eternal security and assurance of believers. Once saved, we are kept by God’s power and are secure in Christ forever (John 6:37-40, 10:27-30; Romans 8:1). We believe in the eternal bliss in heaven for all who are saved through Christ’s shed blood. We believe in a literal hell and eternal damnation for all who are lost (John 14:1-6; Revelation 20:11-15). We believe in the unity of all true believers who are the Body of Christ (1 Corinthians 12:12-14; 2 Corinthians 11:2; Ephesians 1:22-23, 5:25-27). We believe in the local church as an assembly of baptized believers gathered together for the purpose of performing the great commission (Matthew 28:18-20; Mark 16:15). We believe that the ordinances of the local church are baptism and the Lord’s Supper. The only Biblical mode of believer’s baptism is by total immersion in the name of the Father, Son, and Holy Spirit by the command of God (Matthew 28:19; Romans 6:4-5). The Lord’s Supper is the commemoration of our Lord’s death by the bread and the fruit of the vine, and is always preceded by self examination (1 Corinthians 11:23-28).